According to officials, the free events will allow the public to experience the new changes on the growing college campuses. Rowan College at Burlington County’s Mt. Laurel Campus transformation includes a new state-of-the-art Student Success Center, which will be open in time for the start of the fall term. 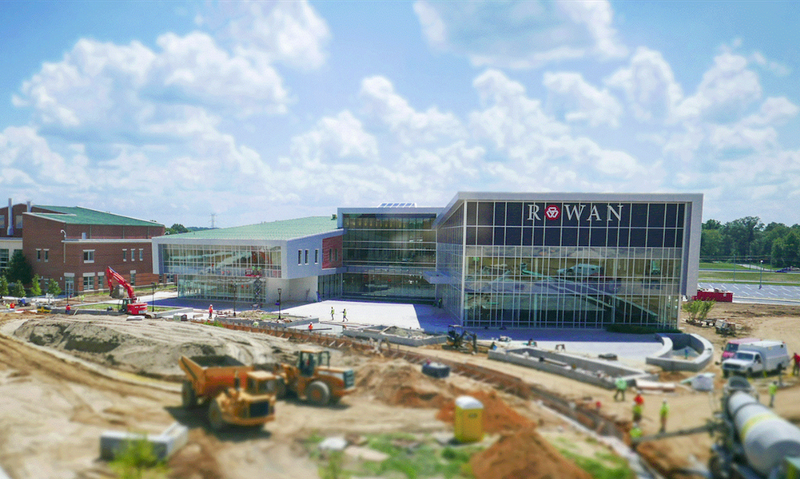 Rowan College at Burlington County is hosting a series of free events from Aug. 29 to Oct. 21 to highlight its new campuses, amenities and offerings. According to college officials, RCBC has created the ultimate full-service campus experience in Mt. Laurel that includes a new Student Success Center and Health Sciences Center, and a completely redesigned campus quad. The complete transformation, which includes improvements in every building, took less than two years to complete. To see a complete list of RCBC Celebration of Transformation events, or to RSVP, visit rcbc.edu/celebration. In addition to the Mt. Laurel Campus transformation, RCBC made improvements to its Mt. Holly Campus, Willingboro Campus and Joint Base Campus. According to the college, The Mt. Holly Campus is becoming a cultural hub for the historic downtown area. The college is moving the student art gallery to the front of the building and several of its fine art programs to the facility to be with the college’s culinary program. College officials say the Willingboro and Joint Base campuses now feature a new Classroom to Career model that better serves adult learners and makes it easier for them to earn degrees in growing careers. Tuesday, Aug. 29 — Unveiling of the new Health Sciences Center, including a live emergency simulation involving multiple Health Sciences programs and Virtua’s Paramedic Science, on the Mt. Laurel Campus from 5 to 7 p.m. (program starts at 5:30 p.m.). Tuesday, Sept. 12 — First Presidential Lecture Series featuring Ndaba Mandela, grandson of Nelson Mandela, at the Votta Hall Auditorium on the Mount Laurel Campus at 7 p.m.
Wednesday, Sept. 27 — First Networking at Night business leader speaking series with CEO of Maximum Leverage Solutions, a technology and digital marketing company, Navarrow Wright will celebrate the Classroom to Career model at the Willingboro Campus at 6:30 p.m.
Sunday, Oct. 1 — RCBC Fest, a community celebration of the new Mt. Laurel Campus with activities for families as well as an open house for future students from noon to 4 p.m.
Saturday, Oct. 21 — RCBC Arts Party, an open house that celebrates the fine arts programs at the Mount Holly Campus from noon to 4 p.m. This event is running in conjunction with Main Street Mt. Holly’s 15th annual Car Show that will be held along High Street in the historic downtown. For more information about RCBC’s Celebration of Transformation events or to RSVP, please visit rcbc.edu/celebration.